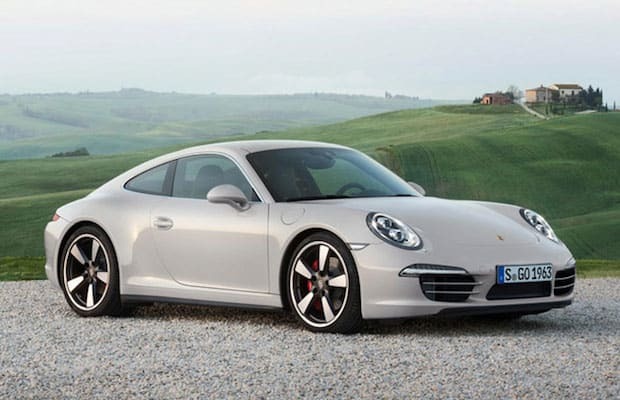 Porsche will debut the 911 50 Years Edition in September at the Frankfurt Motor Show, where the public was met the initial 911. In the meantime, Porsche has released a few photos and details. The car features a number of homages to the original 911, including the 20-inch wheels paying tribute to the "Fuchs" rims, and green labeling on the instruments with white pointer needles and silver caps on the pivot pins. While sporting a retro look, the engine roars like an old 911 could only dream of. Thanks to the Powerkit that comes standard, the new Porsche jumps 30 horsepower to 430, and can reach 60 mph in 4.2 seconds. Finding one of these won&apos;t be easy, though. Production is limited to 1,963 cars.